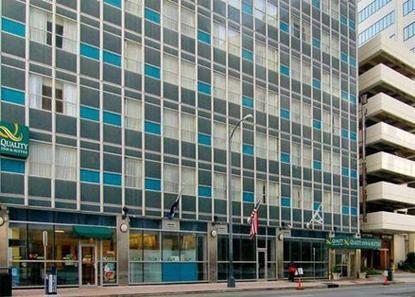 The Quality Inn & Suites is ideally located in downtown New Orleans, only two blocks Bourbon St. and French Quarter. Major corporations have offices within walking distance of the hotel. Nearby, the La. Superdome, Convention Center, streetcars, Harrah's New Orleans Casino and Riverwalk Marketplace. Armstrong International Airport is only 12 miles from the hotel, downtown/French Quarter area via I-10.